Taiwanese manufacturer TSMC will likely remain Apple's contract chipmaker next year, as the exclusive supplier of "A13" chips for 2019 iPhones, according to industry analysts cited in a report by the EE Times. "As long as TSMC continues to offer something new at leading-edge every year and continues to execute well on yield, I could see Apple remaining sole source on foundry at TSMC for years to come," Arete Research analyst Brett Simpson said in an interview with EE Times. TSMC has been Apple's exclusive supplier of A-series chips since 2016, fulfilling all orders for the A10 Fusion chip in the iPhone 7 and iPhone 7 Plus, and the A11 Bionic chip in the iPhone 8, iPhone 8 Plus, and iPhone X. 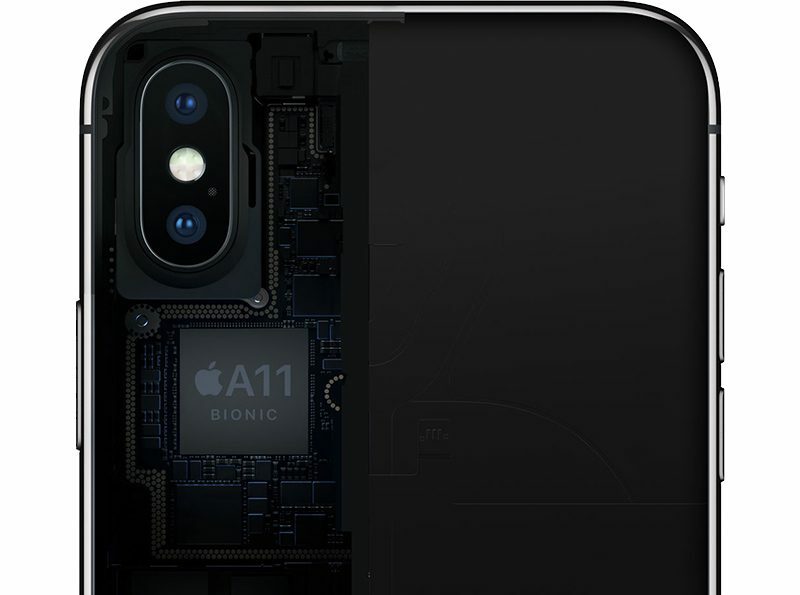 Multiple reports indicate TSMC will also be the exclusive supplier of the "A12" chip in 2018 iPhones. TSMC's packaging offerings are widely considered to be superior to that of other chipmakers, including Samsung and Intel, so it won't be surprising if that exclusivity continues with the "A13" chip in 2019. TSMC has been gradually shrinking the size of its dies over the years as it continues to refine its manufacturing process: A10 Fusion is 16nm, A11 Bionic is 10nm, and this year's "A12" is expected to be a 7nm chip. The "A13" will likely be a 7nm+ chip with extreme ultraviolet lithography (EUV), with volume production expected to begin in the second quarter of 2019, in time for a fall iPhone launch next year. Beyond that, TSMC recently confirmed that it plans to invest $25 billion towards volume production of 5nm chips by 2020, so there's a good chance that Apple will rely on the Taiwanese chipmaker for the foreseeable future. TSMC's favor with Apple comes at the expense of Samsung, which was the exclusive manufacturer of iPhone processors for many years, starting with the ARM11 chip in the original iPhone through to the A7 chip in the iPhone 5s. TSMC manufactured the A8 chip in 2014, and TSMC and Samsung shared A9 chip orders in 2015. Samsung isn't backing down easily, however, as DigiTimes last month reported that the South Korean company is developing its own InFO packaging technology. Samsung claims to have outpaced TSMC in kicking off official production of 7nm+ with EUV, seeking to win back orders from Apple in 2019. As far as how this all impacts customers, Apple's industry-leading mobile chip designs and TSMC's continued packaging advancements are beneficial for the performance, battery life, and thermal management of future iPhones. Was there ever a doubt? The chips are beasts and continue to improve. TSMC seems to produce good yields and is reliable at the execution. Too bad the A12 will be made with inferior processing against Samsung's process for 7nm. I'm guessing Apple prefers price over quality. Too bad you didn't actually read the linked Digitimes article noting TSMC's lead at 7nm and 5nm, and noting Samsung are playing catch up. Oooft, 7nm chips. I'm so happy I was born in the generation I was. It's been brilliant to see the evolution of technology. Samsung claims to have outpaced TSMC in kicking off official production of 7nm+ with EUV, seeking to win back orders from Apple in 2019. You can win back the orders a lot easier if you stop making commercials that mock the device you'd apparently love to make chips for. TSMC does a good job. And while having two suppliers minimizes risk, we’ve seen in the past that the differences between the hardware can be significant even when they shouldn’t (A9 chip, iPhone 7/8/X modem). Does 7nm actually mean 7nm? Afaik most chip architecture numbers are more sizzle than steak. Using the actual die size doesn't negate the accomplishments, but marketing I guess. You are absolutely right. That's exactly the case. As an Electrical Engineering student, I can tell you that 7 nm chipset lithography means all the tiny circuits and wires are 7 nm thin. That's 7 x 10^-9 meters. You are unfortunately wrong, and 69Mustang was correct. The technology node no longer means that the gate size or other feature sizes are that small. That's just what they teach in schools. It used to be true a few node generations ago but is no longer true. For example when companies moved from 22nm or 20nm planar technology to Finfet technology with the same gate sizes they started calling them 16nm or 14nm nodes, even though gate feature sizes had not shrunk at all. It was just a different gate design (albeit one that was very cumbersome to manufacture). The idea was that the electrical performance would be on par with a theoretical planar 16nm/14nm gate. Calling it a lower tech node was just for marketing purposes, to differentiate it from the previous technology. The same treatment continues. Actually, it had already begun even in planar nodes. It was quite a while ago that the node designation actually meant the size of gate width. Now the node size designation is used for marketing and product differentiation. Seriously, try to read articles that aren't only quoted on an Apple site. TSMC went for being first with older tech and an inferior process over a superior process. This isn't opinion, it's a fact in the industry. You say, "Some people just don't read... Sigh"
My sentiments exactly. Try to venture beyond the Apple bubble to get your news in the industry. "try to read articles that aren't only quoted on an Apple site.". That's gibberish and irrelevant. Digitimes a) aren't only quoted on an Apple site and b) are completely independent of Apple or anyone else. Samsung are playing catchup with poor yield at 7nm, UEV or no UEV. Digitimes are a far more reliable source on the topic of silicon than ZDNET. What will you quote next, Business Insider? The Onion maybe? I swear if I ever get stranded like the guy in that movie 127 hours I won't bother chopping my arm off. I'll just quietly whisper something that might imply Samsung might not be leaders in everything all the time and you'll be instantly summoned. 7 nm! Mind blowing stuff. They did, until it didn't work. That is why they had to bring 8nm up. ( Which is actually an improved version of their 10nm ). TSMC isn't going with EUV until 5nm, which is scheduled for 2020 iPhone. And from the looks of All relationship and roadmaps, I think Apple will stick to TSMC till 3nm, currently scheduled for 2021/2022. Samsung could have taken a pieces from Apple if they offer their 5G Modem in 8nm. I think that is the easiest way for Samsung and Apple deal. Some people just don't read... sigh. I'm ok with this. I have a TSMC chip in my 6S and my geekbench benchmarks consistently rate hundreds of points higher than the 6S average.